If you're a fan of high-quality headsets, you may have caught Microsoft's recent "Surface Headphones" announcement. The wireless device, which was unveiled at the software giant's Surface event on October 2, is aimed at audio enthusiasts, or at least those with more than a passing interest in high-end audio. The Surface Headphones feature built-in Cortana support, a lightweight design, "13 levels" of adjustable noise canceling, touch controls, and several other unique features. As a fan of quality headphones myself, Microsoft's upcoming offering certainly caught my attention - I've been looking for a solid wireless alternative to my current headset, and the Surface Headphones could fit the bill. However, there's one major sticking point: the price. At $350, the Surface Headphones are far from cheap, and until the device's official launch it's impossible to say whether or not its quality will merit the cost. Fortunately, we won't have to wait long for the first reviews to roll in. 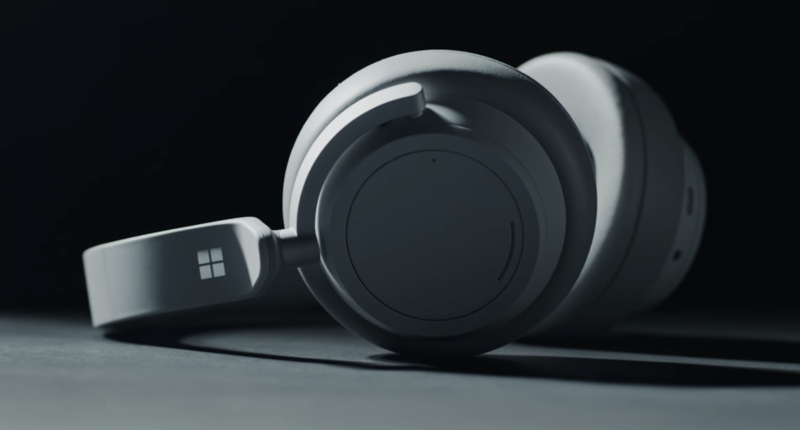 Microsoft today revealed that the Surface Headphones are launching on November 19, with pre-orders opening up a few days before then on November 15. It's strange to see Microsoft begin offering pre-orders so late, but maybe the company is expecting lower demand given the Headphones' price tag. Regardless, if you're interested in the device, it will soon be available through Microsoft's official website. You can sign up now to be reminded via email when pre-orders officially kick off.